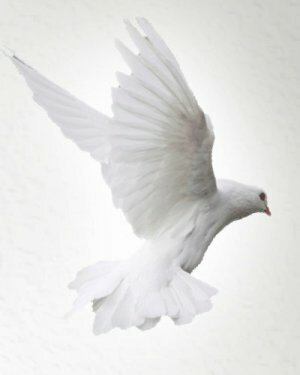 Mrs. Judy "Mama Gail" Jordan, of 2718 Irwinton Road, Milledgeville, Georgia passed away on Friday, March 22, 2019 at Navicent Health Macon. 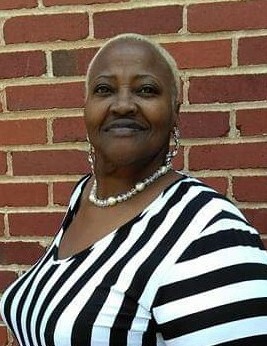 Our beloved Ms. Judy Gail Jordan was called home to her eternal resting place on March 22, 2019 at Navicent Health Macon. “Mama Gail”, as she was affectionately known by many, was born on December 10, 1957 in Bibb County, Georgia to the parentage of the late Mr. Willie King and Fannie Mae Henry. She attended Southwest High School in Macon, Georgia and graduated in 1976. On December 21, 1978 she and Michael B. Jordan, Sr., were joined in holy matrimony. At an early age, she joined Overcoming Church of God & Christ under the leadership of Bishop John L. Cotton in Macon, GA. There she sung with the Overcoming Mass Choir for many years before relocating to Columbus, GA where she resided for 13 years. Upon moving back to Milledgeville, GA, she began singing with the Cooper Hill Baptist Church Senior Choir. She was known for singing a couple of her favorite songs “There's A Leak In This Old Building”, “I Get A Blessing Everyday” & many others. She dedicated her life to Christ and joined Faith Christian Fellowship Ministries in 2016 where she was a faithful member. She worked for the Department of Human Services Division of Child Support Services faithfully for 20 years. Some of her hobbies included singing, sewing, playing the tambourine, going to church, and spending time with all of those she loved. She loved life & she lived life because she was life! She leaves to cherish her loving memories: two daughters, Mrs. Karvasha Brown (Leconar) of Milledgeville, GA and Ms. Keshoria “Missy” Jordan of Macon, GA; one sister, Mrs. Julia Ingram (Bennie) of Columbus, GA; four aunts: Ruby Orange of Macon, GA, Daisy Henry of Bronx, NY, Rosa Webster and Neomia May both of Milledgeville, GA, one uncle: Joseph Walker of Macon, GA, companion and longtime friend, Michael B. Jordan, Sr, devoted cousins Georgina Collier of Newnan, GA, Kimberly Jackson, Kathy Hargrove and Adrian Webster all of Macon, GA, best friend for over 20 years Connie Streeter and a host of adoptive sisters, brothers, children, nieces, nephews, cousins, other relatives and friends.